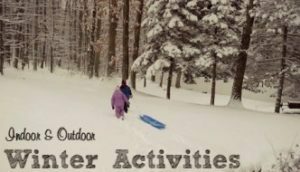 Count down to the New Year in Manitowish Waters with low/no cost, family-fun, indoor/outdoor activities during the holiday week regardless of the weather conditions! Activity locations vary throughout the town based on participating organizations. Past activities included story hour, crafts, horse-drawn wagon rides through the Discovery Center, live music, dances, snowshoeing, ice skating, nature-based activities, and New Year’s Eve celebrations with fireworks.